While we often hear people say things aren't built like they used to be, that's certainly doesn't apply to the Wrangler brand. When you buy quality workwear, like these Wrangler Riggs Men's Antique Indigo 3W050 AI Durashield Relaxed Fit Work Jeans, you get classic ... (see full details) (see specifications) #WRG3W050AI. While we often hear people say things aren't built like they used to be, that's certainly doesn't apply to the Wrangler brand. When you buy quality workwear, like these Wrangler Riggs Men's Antique Indigo 3W050 AI Durashield Relaxed Fit Work Jeans, you get classic quality and contemporary performance. These relaxed-fit Riggs jeans are styled with the exclusive Room2Move® fit construction that gives you an improved fit in the seat, thigh, knee, and bottom opening, plus an action-gusseted crotch that improves fit and flexibility, even when you have to twist and bend in awkward positions. Forget binding and pinching in uncomfortable places when you're working when you wear these work pants. This Wrangler Riggs design is built tough with sturdy 14.5-ounce 100% cotton Durashield® denim. Durashield® fabric represents a breakthrough, where fabric fibers actually move during wear and washing to reduce abrasion and help retain color. Triple-needle stitching construction plus a rugged #5 YKK zipper and 3/4-inch X 2 1/4-inch belt loops add to the tough wear with these five-pocket pants. They're designed for convenience with 13-inch deep front pockets with 7.25-ounce white pocketing plus the patented tape measure reinforcement patch on the right front pocket. The back pockets are also reinforced at stress areas. These tough and versatile denim work trousers work smart and wear even better. Buy a couple pair today right here at Working Person's Store and experience traditional quality and modern-day performance. I have worn almost every jean on the market but these are the best wearing and lasting jeans I have ever found including some of Wranglers other jeans. Hope they always make these. This is probably my fifth year of ordering them. VERY SATISFIED WITH JEANS AND THE WORKING PERSONS STORE FRIENDLY AND HELPFUL STAFF! Fit Great. Feel Great. Room To Move. Durable. Leather Reinforcement On Right Pocket For Clip Ons. Been Wearing The Various Versions Of These Almost Exclusively For Years. Have Tried Many Other Jeans But Keep Returning To Riggs. If They Ever Stop Makin' Em'... Well... I May Have To Go Pantless! Thanx Wrangler & Working Person For Great Jeans At A Price A Working Person Can Afford! These Riggs jeans have proven to be extremely durable. As a farmer, I wear-through a lot of pants and shirts. I have used many different brands, even L***'s, and have found these to be superior to anything else I've worn. I used to purchase cheaper jeans and replace them more often, but these Riggs have proven to be more economical. I have no complaints on the comfort of these jeans, as well. I work on the Railroad.These jeans will last 10 times longer than any other jean I have tried.They are so tough that I have convinced my co-workers to wear them.A pair will last me more than a year worn once every week through some very rough conditions..
15 out of 17 people found this product review helpful. These are the only brand I will wear for work. They are very durable and hold their color well. Plus they sacrifice nothing in comfort. I've also ordered the shorts and am just as happy with them. 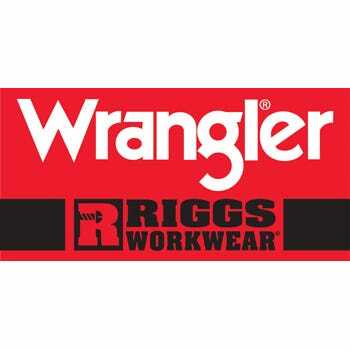 Wrangler Riggs Jeans: Men's 3W050 AI Durashield® Relaxed Fit Work Jeans is being added to your cart.